"It all stops now - the foolishness. And if you mess this up, it's jail time." Light that blunt and get ready, this looks like the ultimate stoner flick. Neon has debuted the second official red band trailer for Harmony Korine's latest film The Beach Bum, a spiritual sequel to Spring Breakers. And it looks just as crazy, if not even crazier, than that movie. The Beach Bum stars Matthew McConaughey as a rebellious stoner named Moondog who lives life by his own rules. McConaughey looks totally, totally wild in this, but the rest of the cast looks wacky insane too: Snoop Dogg, Isla Fisher, Stefania LaVie Owen, Martin Lawrence, Zac Efron, Jonah Hill. I don't even know what the plot is, everyone in this just seems stoned or totally weird or crazy, but that might be exactly why this is going to be a trippy experience unlike any other. Fire this up. You can still watch the first trailer for Korine's The Beach Bum here, to see the original intro again. Follows the hilarious misadventures of Moondog (Matthew McConaughey), a rebellious rogue who always lives life by his own rules. Also co-starring Snoop Dog, Zac Efron, and Isla Fisher, The Beach Bum is a refreshingly original and subversive new comedy. 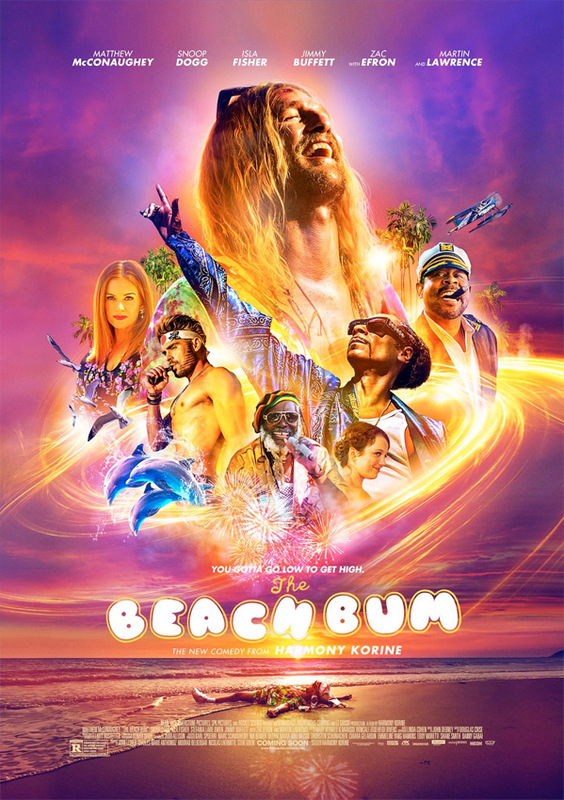 The Beach Bum is written, produced, and directed by American indie filmmaker Harmony Korine, director of the films Gummo, Julien Donkey-Boy, Mister Lonely, Trash Humpers, and Spring Breakers previously. The film is officially set to premiere at the SXSW Film Festival in March. Neon will then release Korine's The Beach Bum in select US theaters starting on March 29th coming up. For more info + updates, follow @NEONrated. So does this look like a must see?